Our Nutrition experts are superiorly experienced in assessing and addressing the nutritional needs of patients. Our clinical dieticians conduct comprehensive nutritional assessments on inpatients, in order to identify goals and requirements for improving nutritional intake and health of the individual. Individualised plans are designed in order to cater to the health and condition of the patient, and care is followed through. We at Narayana Health are also involved in the organisation and delivery of a variety of lectures, aimed at delivering important nutrients as well as wellness information to patients. Nutritional counseling, provided by dieticians in a private and confidential setting is available at our hospitals. It is aimed at providing the best-in-class services by highly trained dieticians. Management of Weight, Cholesterol, Hypertension, Diabetes, Dialysis and Non-Dialysis, Gastrointestinal Disorders etc. 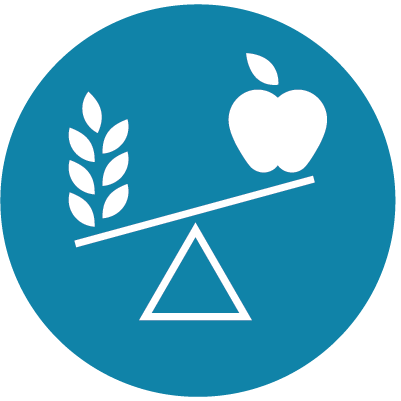 Patients undergoing radiation and/or chemotherapy can consult a dietician to help optimize their nutritional status. The dietician also assists patients with dietary strategies to minimize side effects that may occur during cancer therapy. The dieticians at NH are also involved in many community programs. Lectures on Nutrition importance are offered to women’s & senior citizen groups, school programs, various support groups and local corporations. The Food Services staff works very closely with the dieticians to offer nutritionally adequate and satisfying platters to patients, staff, guests, and visitors. The staff takes great care to prepare and expedite the appropriate physician-ordered diet order for patients. Provide Therapeutic diets for inpatients like Diabetic Diet, Low Salt, and High Protein etc. according to the patient’s condition, likes and dislikes which help the patients to recover faster.